Are you always worrying about always forgetting important events in your life? How many times did you forget about your important appointments? Are you always late for meetings and even on really significant occasions? 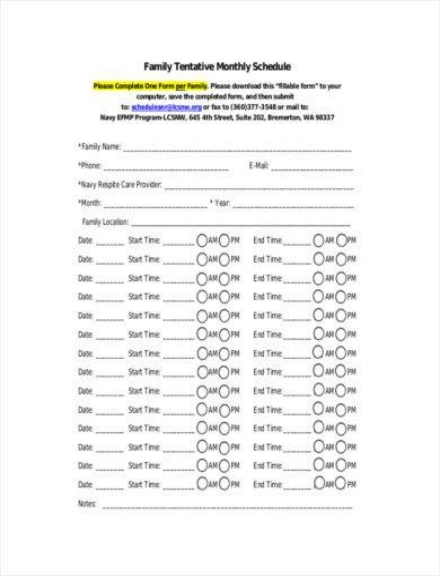 If you have been experiencing such kind of problems, maybe it is time for you to get yourself a monthly schedule. Marking occasions, meetings, and other important occasions in advance can be effectively done with the use of a monthly schedule. Monthly schedules enable you to live a worry-free life by making sure that you will be able to remember the plans you have made ahead of time. Here are the basic elements you need to include on your monthly schedule to make it as effective as possible. Activities: What’s a monthly schedule without the list of activities that need to be done for the days within your month? For this element of your monthly schedule, you only have to list down the major activities that you are to do for that month and you should not anymore bother with minor ones such as your daily routine because that’s the job of a daily schedule. 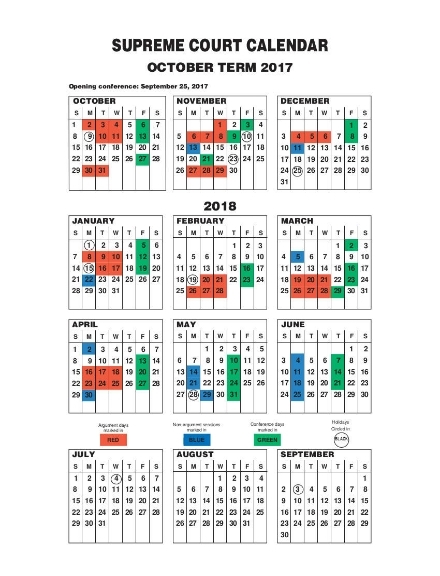 Date or Days: Your monthly schedule would not be effective if you are not to include the dates. Where will you then indicate the activities without this element? Unlike a daily planner or an hourly planner, do not anymore bother with the time as that is the job of your daily schedule. If you do not have a daily schedule, that is when you can indicate the time. Delegation: There are some activities or tasks that you need to do for that month that is related to your team at work and such events would be impossible if you are only to carry out on your own. It is in this case that you would need a delegation of such activities and tasks to make it successful. For the details of such activities and tasks, you can include it in your daily schedule. 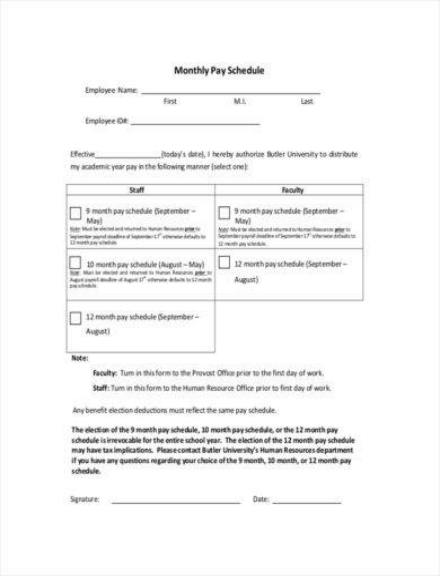 Due Dates: If you are working on a project, whether in your job or in your personal endeavors, your monthly schedule can help you keep reminded of it as it can serve as the overview of the date as well as the specific project that you are to complete on that specific date. If you are to indicate your due date, on your monthly planner, you will be motivated to complete it even before the said date. 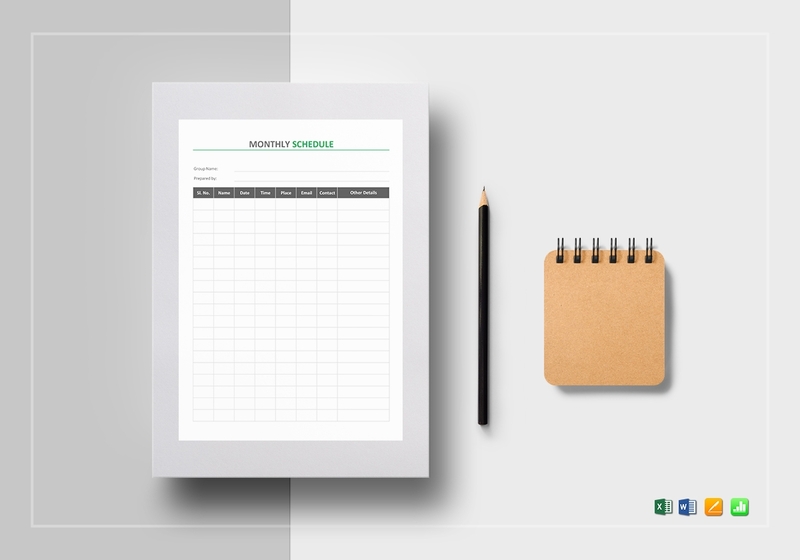 If you are to create a monthly schedule for the first time, you might want to consider reading the following steps in creating a successful monthly schedule. Step 1. Determine and list down the activities: The purpose of your monthly schedule is for you to keep track of your activities and with that, you will prioritize determining and listing down the activities that you are to deal with for the month ahead of you. In listing down, do not bother about plotting and organizing it because that will be for the further steps ahead. Step 2. 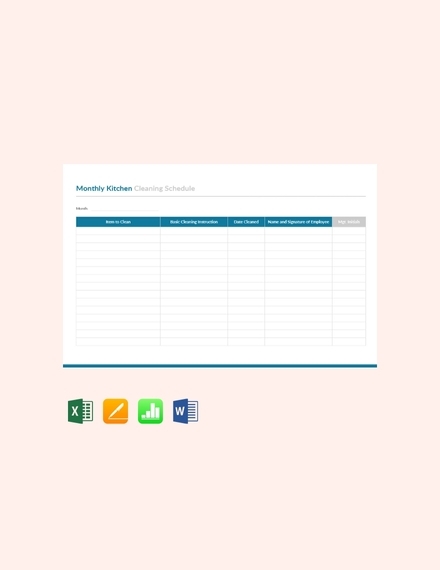 Plot and sequence the activities: Right after determining the activities you are to deal with for the month, you can now plot it out and sequence it on to your monthly schedule sheet. There are some things that you are to do within the same day, so you will then have to make sure there’s an ample space for you to write different details about each activity. Step 3. Estimate the resources: You can include listing down the resources you will need for every activity in your monthly schedule. In estimating the resources, you might want to consider estimating the resources for your team, the financial resources, and the equipment needed to make the activity successful. Step 4. The execution of your monthly schedule: What’s the point of creating of a monthly schedule if you are not to execute and follow what’s written in it? It is important that you would make the most out of the monthly schedule you have created because it can actually give you more good than inconvenience. Surely at first, you will feel uneasy having to follow something, but also surely enough, you will get used to it as soon as you will realize that you are getting more productive than before. Step 5. Monitoring and controlling the monthly schedule: For the final step, you will then have to monitor and control the progress of your schedule. 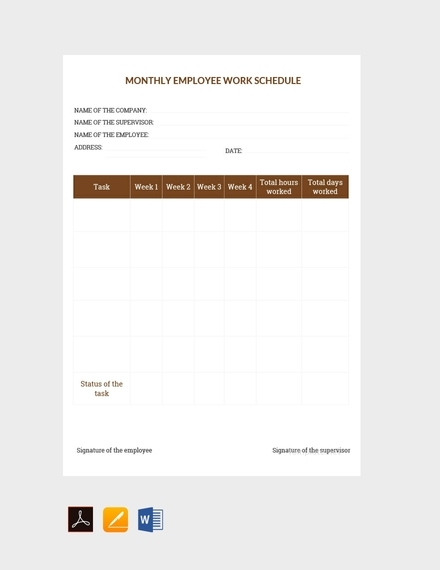 This step is done all throughout the month as this will ensure that your work results are according the schedule plan that you have just created. It is also through this step that you will be able to do the necessary changes as there will always be the possibility of last-minute and unexpected changes along the way. Deal big projects into manageable chunks: The thought of multitasking might come across you as soon as you would encounter big projects at work. But disregard this risky thought and deal such projects into manageable chunks instead. A month is enough as long as you would know how to divide your tasks effectively and you could even have some extra time for you to do other things such as leisure time. Have a definite structure: This will enable you to become even more organized with your planning. Sure, organizing your monthly schedule can be quite a lot of work especially if you have a lot of appointments, meetings, and events to attend to for that month, but you will surely make your life easier if make the structure well-organized beforehand. Shape your attitude toward your monthly schedule: This makes your monthly schedule actually effective. Sure, your monthly schedule might look too demanding toward you, but if you are not committed to its execution, your monthly schedule is useless no matter how well you have made and designed it. Provide clear instructions for every task: This step is important especially if you do not follow a daily schedule. There are some activities that are too tricky if ever you are going to forget its important details. Even if you follow a daily schedule along with your monthly schedule, it will still be wise for you if you are to include clear instructions in your monthly schedule so it will be assured that you will really not forget about it. Emphasize your priorities: Within a month, there are things that are of high priority and there are also some activities that may be important, but there is no need for it to be accomplished as soon as possible. To those activities that you regard as high priority, ensure that you will be able to emphasize its urgency so you are going to deal with these first before anything else. Update your monthly schedule regularly: Make sure that as you go over your monthly schedule, you will be able to keep track your progress by updating it regularly. There will always be room for changes along the way and that is something you have to consider whatever kind of schedule you are creating. Forgetting to keep it updated might cause a bad domino effect that will delay the completion of some tasks ahead. 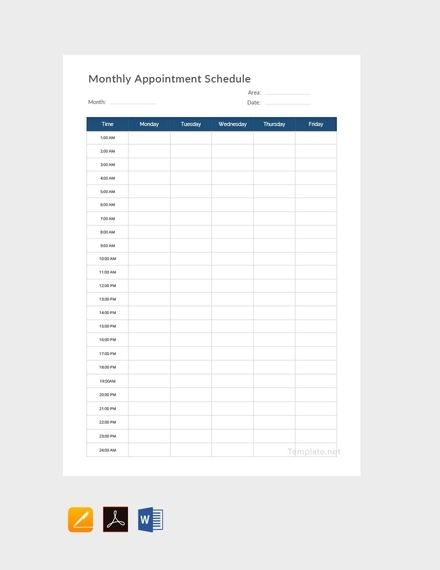 What is a monthly schedule? A monthly schedule helps you in remembering obligations, occasions, events, appointments, and other activities that need to be dealt with in the month. 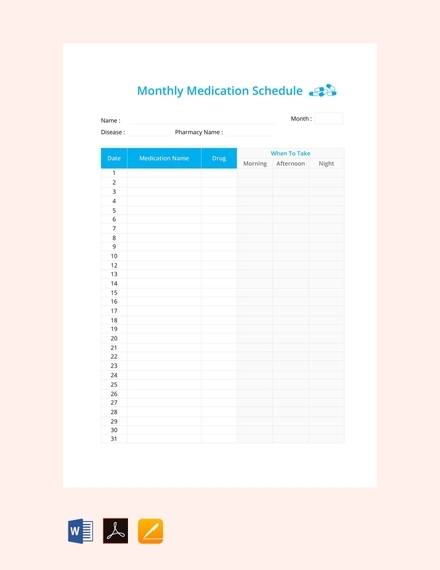 This is similar to hourly schedules, daily schedules, monthly schedules, and yearly schedule wherein it might contain some reoccurring events and activities. 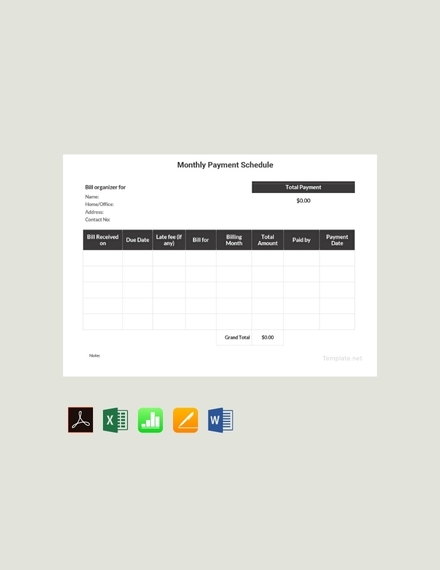 You can use monthly schedules both for business and personal use. 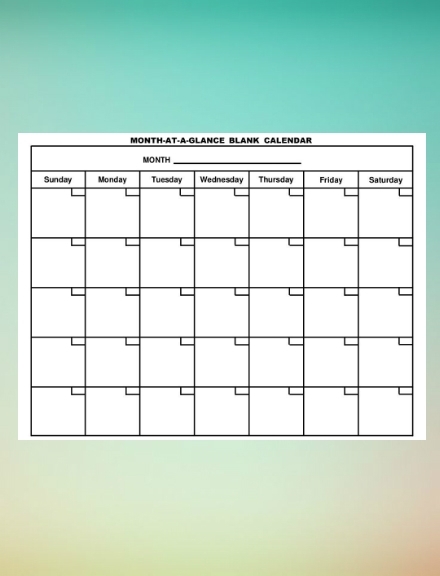 What is a purpose of monthly schedule? A monthly schedule is very helpful when it comes to keeping your reminded of the activities and events that you tend to easily forget. Through a monthly schedule, you will have a bird’s eye view of the things that you need to deal with for the month. Aside from becoming an organized individual, you will also become more effective and productive in your daily activities. 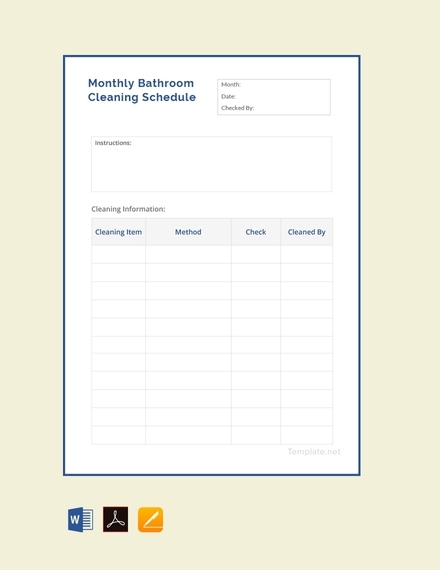 What is the importance of a monthly schedule? A month has at least thirty days and for each day, you may have varying activities and that can be quite a lot for you to handle and remember. A monthly schedule can surely be a great help for you to get constantly reminded of the things that have been set for that given date. A monthly schedule is important because you will no longer be missing equally important obligations and occasions. 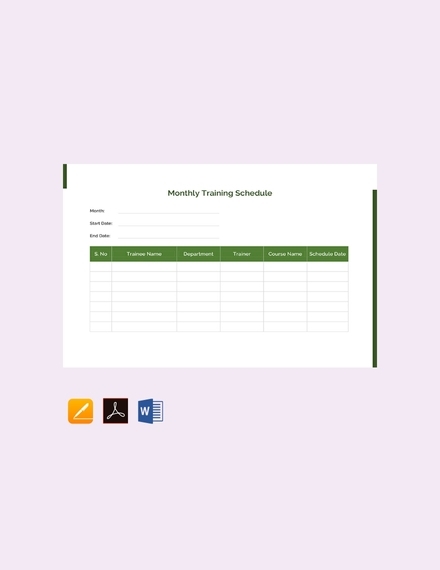 Creating monthly schedules might be quite a job at first but once you get the hang of it, you will eventually enjoy making and executing as it can also making you an efficient individual. 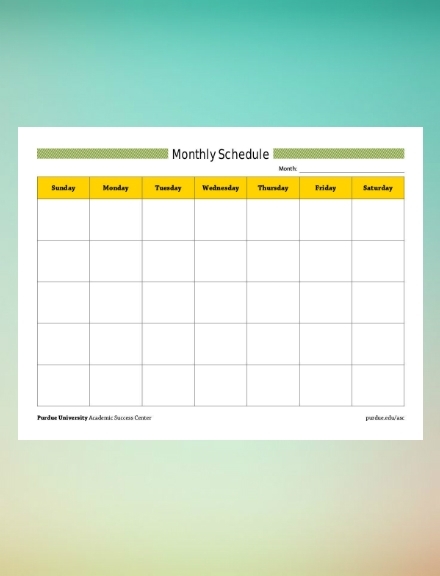 We hope that this article has been of great help for you as your create your monthly schedule. 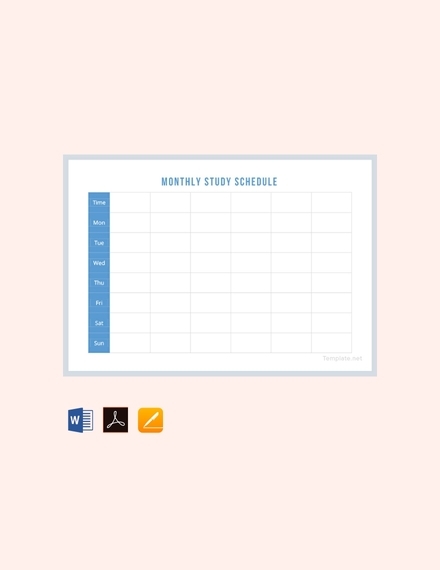 For more schedule-related articles, you might also want to check out these schedule examples and templates.